Mon., Sept. 10, 2018, 11:30 a.m.
LOS ANGELES – Warner Bros. dominated the top two spots of this weekend’s box office (and three of the top five), marking its fifth consecutive week at the top of the charts. “It’s extraordinary, I want to do it all the time,” said Jeff Goldstein, the studio’s distribution chief. In first place, New Line Cinema’s horror spinoff “The Nun,” based on a character introduced in the successful “Conjuring” franchise, opened with a series-best $53.5 million, according to figures from measurement firm ComScore. 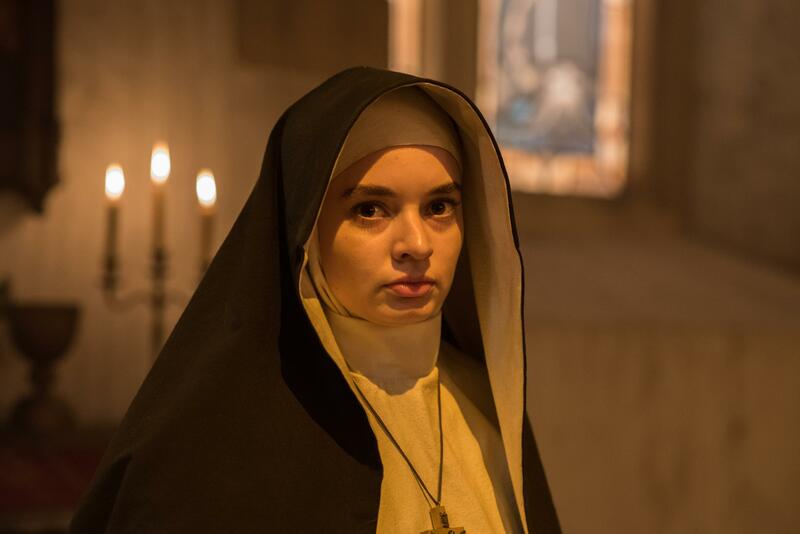 Despite the huge success of “The Nun,” it is the second in the series to receive a low mark on review aggregation site Rotten Tomatoes, with a 28 percent “rotten” score. It also got a C rating from audiences on CinemaScore. Despite this, Goldstein doesn’t rule out the possibility of a sequel. “I don’t know for sure, but I would guess it, I would advocate for it,” he said. Two of the studio’s other movies landed among the top five: In second place, “Crazy Rich Asians” added $13.6 million in its fourth weekend. And giant shark movie “The Meg,” now in its fifth weekend, added $6 million, landing at No. 4. At No. 3, STX Entertainment’s Jennifer Garner-led action thriller “Peppermint” earned $13.3 million. Garner stars as a woman out for vengeance after her husband and daughter are gunned down in front of her. The film, directed by “Taken” director Pierre Morel, came in within predictions of $10 million to $15 million. It earned mixed reviews from audiences and critics with a B-plus rating on CinemaScore and a 13 percent “rotten” rating on Rotten Tomatoes. In fifth place, Sony’s “Searching,” now in its third weekend, added 802 theaters and $4.5 million, a killer hold for a film initially released on limited screens. In limited release, Freestyle Releasing opened faith-based drama “God Bless the Broken Road” with $1.6 million, below expectations of $2 million to $4 million. About a woman who struggles with faith after her husband is killed in Afghanistan, the film earned negative reviews on Rotten Tomatoes, with a 13 percent “rotten” rating. Published: Sept. 10, 2018, 11:30 a.m.